I once toyed with the idea of doing the clinical part of my medical finals in Cambridge in 2001 in a White Del Monti suit. It seemed like a good idea at the time. The reason I didn’t was because I thought that I might get marked down for being anti-establishment, arrogant, too disrespect to the patients, and ultimately ‘fail’. Being an innovator is a high risk strategy, but means you can’t always conform. What I felt enormously frustrating about the NHS is how status and kudos comes with your position on the hierarchy ladder. I sometimes think that doing a Ph.D. as part of a medical degree is the worst thing you can do for your wellbeing, as one minute you’re presenting original results to an international conference, and the next you’re pushing a notes trolley and only speaking when spoken to. It’s worth thinking why the NHS adopts this ‘normalcy’, and I think this intense feeling of shared values means that the stakes are high if you’re perceived in any way at all as a ‘trouble maker’. The NHS is not the only culprit – I found when applying to corporate law firms in the City years later, recruitment managers loved memes from their graduate prospects thrown back at them. Even the psychometric testing, often determining your eligibility for interview whatever your personal charm, is designed to squash thought diversity, or even dare I say it you as a person. The thing is – we are all actually different. Think about how ill conceived the English eduction system is. We actively reward people who can do the most set piece problems in a defined time correctly. We don’t look at how the population at large can solve problems between them. We don’t encourage ‘neurodiversity’, and yet people should be praised for being able to different things. Here’s the bit in the blogpost where I protest too much. I am not into ‘social movements’ at all. I cynically tend to think of hashing campaigns as a manipulative marketing device, encouraging groupthink. At worst, I think they become an instrument for boosting certain people’s egos and ‘bottom line’ than the causes themselves. I look at the repetition of terms such as ‘change leader’, ‘change catalyst’, ‘change maker’, repeatedly used across jurisdiction, and think far from encouraging people to break the mould the ‘change days’ identify who plays ball (and who doesn’t). Give the conference slot to the guy who can say the right things. Sure, change leaders are rare people within organisations, and not often the people who’ve bunged “CEO” on a description of their area of industry. But I think I can spot people who put all they can into what they’re doing, as they’re genuinely motivated. Andy Tysoe, clinical nurse specialist in dementia at Countess of Chester, I am quite sure has faced torrential headwinds when trying to put the needs of people with dementia as persons first. I am sure that he has had to be the David against the big Goliath of people who have the power and resources to dwarf his excellent innovative projects, such as making Dementia Friends appropriate for tier 1 education in an acute hospital setting. I am sure that he raises eyebrows when he likes a person with dementia being forced to ‘think faster’ in the same way you might ask a person with lower limb physical disability to ‘run faster’. It’s been often argued that you need to be an externality such as Uber to ‘disrupt’ an industry like the taxi industry (please note that this is not true disruption in the meaning of the term made famous by Prof Clay Christensen at Harvard). But I think it’s great there’s somebody within the NHS who is on the same page as me. Andy and I are even meeting up at my book launch in Camden next year, to ‘celebrate’ my rather technocratic analysis of person-centred integrated dementia care. It’s worth thinking why there was such cognitive dissonance when Helga Rohra, Chair of the European Working Group of People with Dementia, asked in public off the then Dementia Envoy Dennis Gillings ‘how will the cure for dementia in 2025 benefit me?’ Helga lives with dementia now in 2015. This is because there is lack of trust by people with dementia in some of the initiatives led by Big Pharma on dementia. These accomplished individuals don’t wish to give up their identities to being ‘marketing fodder’. On the other hand, if the NHS were changed around from being a fragmented illness fixing service to a national health and wellbeing service, where enhancing health of people was actively promoted whatever the care setting, this is a ‘social movement’ many people wth dementia might sign up to. And Andy, believe me, is an authentic voice in that. How can we tell whether #NHSChangeDay "works" for dementia? A number of different jurisdictions do a form of “Change Day” for healthcare. 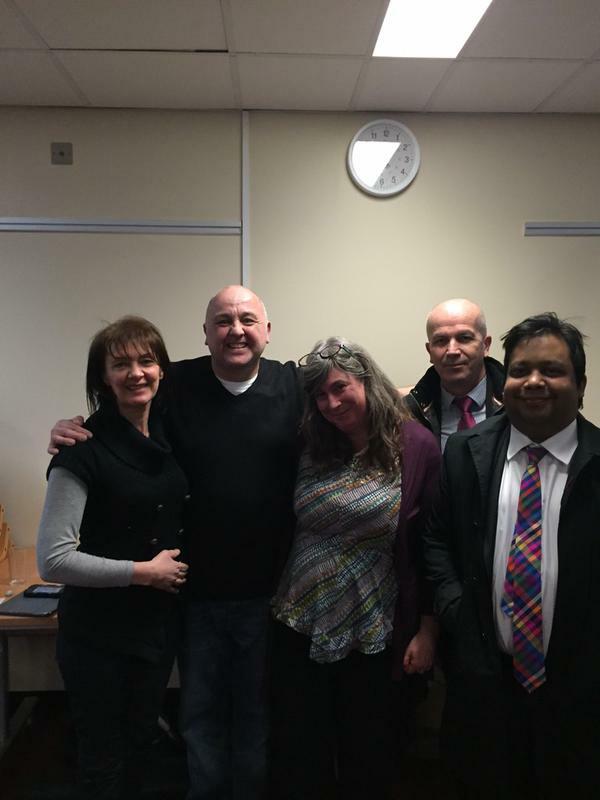 The NHS Change Day will take place this year on Wednesday 11th March 2015. This year, Andy Tysoe will be spearheading efforts for a ‘change’ in how the general public perceive dementia – please do support @DementiaBoy and #DementiaDo. How you measure outcomes as well as short term benefits for NHS Change Day is to be itself an outcome of a study shortly. But I do find interesting the basic issue of how social movements are deemed to have had any effect or not. I took as a useful starting point this document. 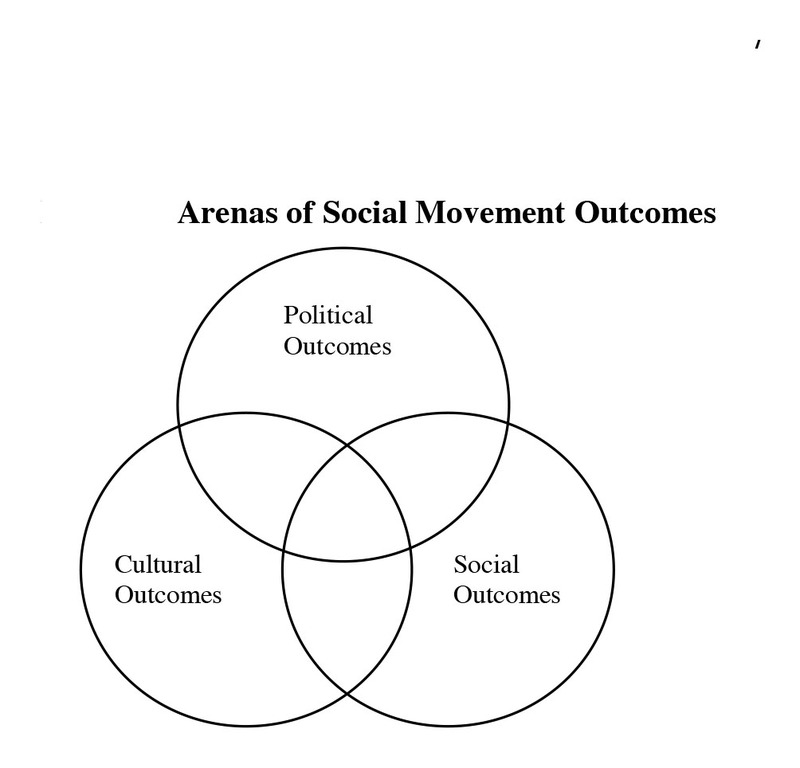 This is a graduate thesis from 2008 entitled, “Arenas of social movement outcomes: accounting for political, cultural, and social outcomes of three land-use social movements” by Brandon C. Hofstedt at Iowa State University. The actual number of pledges in itself is clearly not the factor. “Targets” have been pervasive in English dementia policy wherever you look, such as the number of people enrolled into research studies, or the number of new diagnoses of dementia. But, coupled with the fact that shrewd people can effectively ‘game’ such metrics, together with the more underlying issue that quantity does not necessarily equate to policy, the number of pledges about dementia is not THE measure. Last year, there was a very successful ‘Whose Shoes’ campaign with Ken Howard, living with dementia, which explained what it was like to receive a diagnosis of dementia, and what it was like to live with that diagnosis. But was that in itself a game changer? The initiative certainly did open many people’s eyes, and it was extremely well received; but did it change everyday practice in the NHS? It is well known that the disclosure of dementia in the NHS can be extremely poorly done. One aspect is the rushed nature of the appointment for that disclosure, as well as the lack of supporting follow-up. 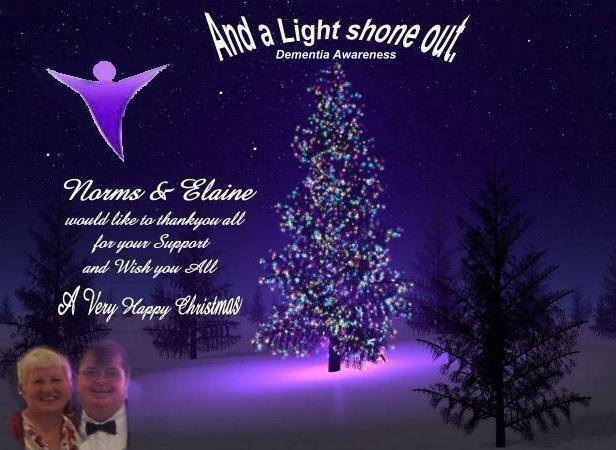 But, as Chris Roberts, living with a mixed vascular dementia and Alzheimer’s disease, remarks, a more systematic imparting of the diagnosis, perhaps divided up into pre-disclosure, disclosure, post-disclosure parts might be more helpful. This is, in fact, the structure adopted for the disclosure of a diagnosis of Huntington’s disease. The diagram below is taken from the thesis above. We know that social movements all have lifespans of their own, and it can take a long time after the existence of a social movement for the effects of that social movement to become known. But even in the lifetime of the recent NHS Change Day campaigns on dementia it is worth examining whether there has been a fundamental change in dynamics in political, social, or cultural domains. In terms of global policy, this month the Alzheimer’s Disease International and World Health Organization, consistent with previous policy strands from the G7dementia and World Dementia Council, will be fleshing out the key tranches in policy, which are in prevention and the search for a cure. In fact, policy, including social care, for people living well with dementia currently has not been given as high a priority, it can be argued. Despite devastating social care cuts in England, the Prime Minister recently boasted of how England should be known as “the best place to receive a dementia diagnosis”. Social capital is essentially about looking at the power of individuals relate to each other, and cultural domains reinforces this notion, looking at what ‘cultural norms’ are. “Dementia Friends” has so far cost a few millions, but some believe it is money well spent for offering the general public basic information awareness of what the dementias are. Such information, it is argued, is that the first step to breaking down stigma and discrimination. But no initiative on its own, even with the backing of ‘Dementia Friends’, can be expected to be wholly transformative in changing cultural ideas around. That is where, perhaps, the particular strength of Andy Tysoe’s present campaign lies for NHS Change Day. The idea is that by gathering lots of ‘backers’ to his pledge, Andy can bring about a social movement encouraging people to think differently about dementia; and lots of pledges can make NHS Change Day a powerful force. This indeed is formidable, but we should all be concerned if nothing fundamentally changes. There is only one person living well with dementia on the World Dementia Council, not even democratically elected on the World Dementia Council despite all the campaigning; and, there still remains the 30 minute rushed consultation in busy outpatients to explain the life changing diagnosis of dementia. It’s our day at the King’s Fund, “Leading change in dementia diagnosis and support”. The programme is here. If you feel that something is reported which is complete garbage, make sure you get a chance to give feedback using the hashtag #kfdementia. I had dinner last night with Chris Roberts, Jayne Goodrick and Tommy Whitelaw in a pub in Euston. It’s well known I don’t drink alcohol any more, but I had a fantastic time! 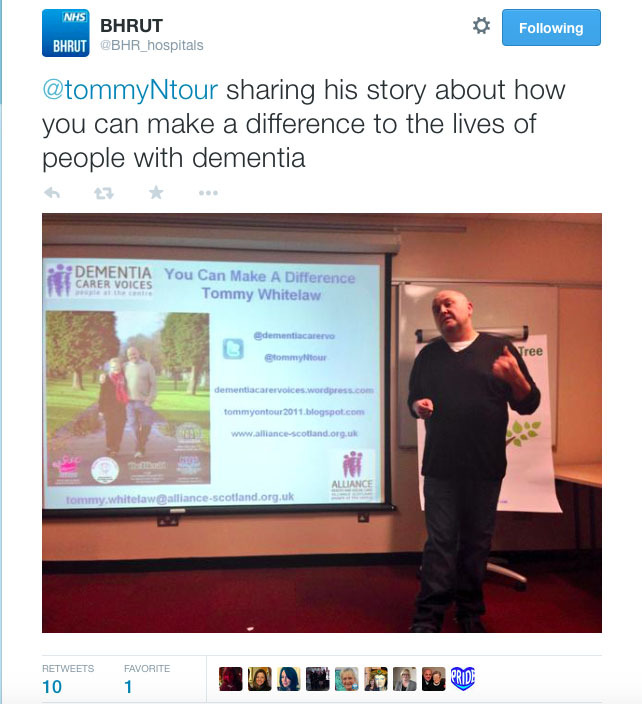 We thought Tommy’s talk at King George’s Hospital Ilford started at 6.30 pm. We got there in good time at 5.59 pm. In fact it started at 6 pm! Chris gave the ‘warm up’ talk – which was a talk I hadn’t heard before. As ever, I was intensely proud of Chris, and what he contributes to the community. I have pledged to go through the thousands of letters with Tommy and bring them the key themes in a book. When people wrote their letters, they had no one to turn to. They would have been ‘processed’ by Government in the usual way. This would not done justice to them. They’re not ‘complaint’ letters, but they contain information and experiences which are gold-dust. It’s likely that these wider messages will extrapolate to the care system across a number of jurisdictions. It’s likely an overall theme will emerge that people are not actually alone in their experiences, and just one small thing might have made a difference. 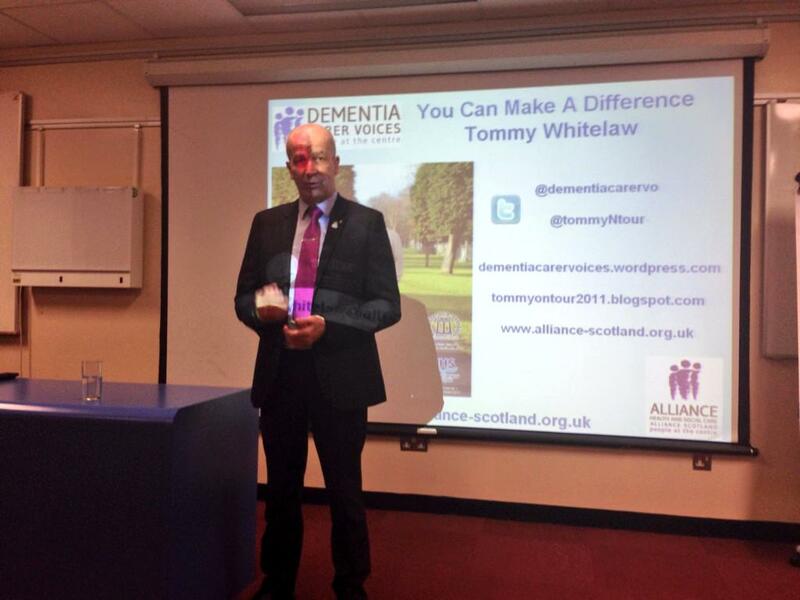 I told Tommy at the end of the evening that I had intended to make a polite comment at the end of his talk. But actually I actually wanted to comment on how outstanding it was. We all had joked about how it had ended up being mission impossible for me getting there taking a bus ride (I haven’t taken a bus for ten years), and climbing two flights of stairs. But, like L’Oreal, Tommy was “worth it”. Like the NHS Change Day in England, it was absolutely great to see staff and other people involved in the NHS become truly feeling pride in what they want to see the NHS doing – which is of course great for me to see the NHS in a refreshing light. Thanks especially to Dr Hilary Marmot, who is a person of significant sincerity, depth in knowledge and gravitas, in real life, with impeccable manners and kindness; Hilary had expressed to me in private how she had made a number of timetable “reconfigurations” to be there. The talk has “mellowed me” out today. Instead of going to the King’s Fund in full wonk mode, expecting to spit policy bullets at people, I’ve decided to go there unscripted after all, listen and learn, and reflect on it all for my panel discussion this evening. I am looking forward to meeting many further friends and colleagues today, too many to name, but I will be especially looking out for Beth Britton, Tony Jameson Allen and Gary Rycroft. And why not Chris and Jayne? Am seeing them in Oxford St before we begin! A special thank you to Matthew Hopkins (@M_J_Hopkins) and his team for looking after us so well as his Trust yesterday. The pride in what you do really showed. For Norman, life is about looking positively towards the future. Norman lives with a ‘Lewy Body’ dementia. People with this form of dementia not only tend to experience problems with memory and learning, like those with dementia of Alzheimer type, but also likely to experience difficulty with concentration and complex visual perception (recognising objects and making judgments about where they are in space). Norman says he hasn’t forgotten who people are, unlike some people with dementia. Sometimes carers feel embarrassed to take the person they care for to relatives for Christmas, as they know it would not work and they may feel that the relatives would not want to come to them. But Norman advises include people with dementia depending on how they wish to be included. Norman reports that 2014 will again be a great year for ‘the Purple Angel’. The Purple Angel is the symbol of hope. It has been adopted around the world by people who care about dementia. The aim of this campaign is to raise awareness, and to drive away stigma of dementia. The website is here, though you can also contact Norman on Facebook or Twitter.